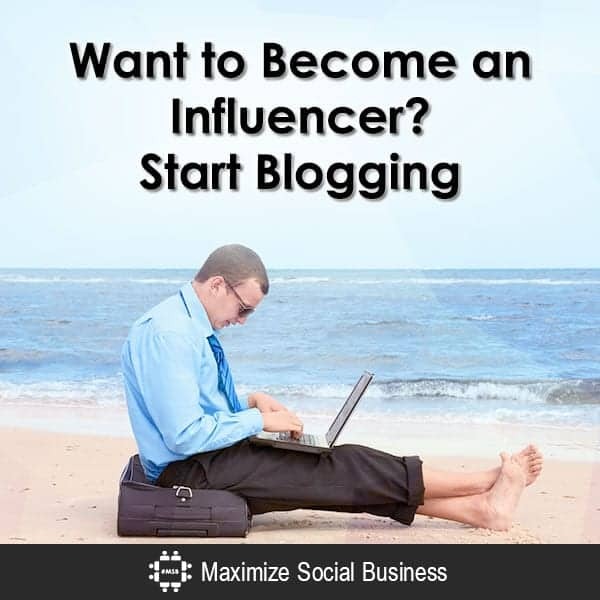 Start Blogging: The Secret to Becoming an Influencer Today. Here's How. What do Neil Patel, Tim Ferriss, and Brian Clark have in common? They are three of the most influential personalities in the digital marketing sphere today. And they built their influence through blogging. Why don’t you start blogging to build influence as well? You can say that they blogged their way to fame and fortune. But it was not an overnight success. It was a rigorous process borne out of a passion for finding solutions and sharing their knowledge to as many people as possible through digital tech and the Internet. In this post, we will identify the common qualities influencers share. We will also look at some of the best’s best practices that, hopefully, you can adapt to position your best content forward. Just like Patel, Ferriss, and Clark, top influencers share these qualities that help put them in their stature. They create thought-provoking content that inspires their audience to take action. Influencers go beyond promoting their businesses and themselves. They spend time knowing the industry, pinpointing areas of improvement, knowing what makes people tick, providing solutions to problems, and keeping up with the trends. Take Barry Schwartz, for example. His site, Search Engine Roundtable, is often the first go-to resource for any Google algorithm update. Influencers exude authenticity and transparency, both in the content they create and their online persona. They publish their works in different platforms and are active participants in online discussions. They are not afraid to voice their opinions, but acknowledge their shortcomings when they’re at fault. Making themselves more relatable as a human is the quality that builds the audience’s trust and the influencer’s credibility. 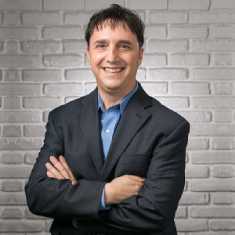 Despite his busy schedule, Danny Sullivan, Founding Editor and Chief Content Officer of Search Engine Land, still maintains his personal blog to talk about his personal musings and other passions aside from SEO and digital marketing. They are engaging. Neil Patel, for example, has helped millions of his followers learn digital marketing in an engaging manner through his blog, Quicksprout. He crafts in-depth tutorials that are fun and easy to read. And beyond that, Quicksprout analyzes websites shows how they can be improved in terms of generating more traffic – free of charge. It takes about a year or so for a blog to gain traction, provided you’re blogging more than 11 times per month. So, consistency is imperative. To avoid sounding too boring in your writing, find a topic that you’re passionate about where you feel you can add value in. You’ll also find it’s easier to write in a conversational tone when you let your words reflect your personality. It’ll be easier for people to relate to you and see what you’re all about and how you’d contribute to your niche. 2. We all know how crucial content is when building a loyal following. If you’re still at a loss on what high-quality content is, let Google’s Quality Guidelines bring some light to it. Create posts primarily for users, not for search engines. Don’t write for writing’s sake, just so you have something to post for that day. The audience should learn something valuable from your post. A useful test is to ask is, “Does this help my users? Would I do this if search engines didn’t exist?” Because when you help people, they naturally want to like and trust you. Think about what makes your website unique, engaging, and valuable. Make a list of things of what makes you stand out. Apply that to your writing and make your website stand out from others in your field. Don’t mislead your users. Employing tricks to improve search engine rankings is definitely a no-no. A good rule of thumb is whether you’d feel comfortable explaining what you’ve done to a website that competes with you, or to a Google employee. While content is crucial, the most important aspect of winning a loyal fan base is strategy. Use the analytics tool on your blog and social media. See what type of content is most shared and liked, and participate in discussions about it. Study wording in the titles and images on articles in order to determine what attracts an audience the most, and then craft your content around it. For starters, look for other bloggers and ask if they could share your content and give you credit free of charge. Maintain visibility and activity in discussions on trending topics in your niche. Don’t just spew words. Do some research, if you need to, to bring more value to the discussion. You can easily build your online presence this way, attract more followers or blog subscribers. Reevaluate your blog analytics. If after at least a year you are attaining or exceeding your goals, then it’s time to scale up. You will naturally produce more content than what you used to. So determine the need for additional writers and an editorial team to oversee that all articles are error-free and aligned to your branding. Consider hiring a marketing manager to assist you in devising multiple streams of income through your blog and pitching to potential advertisers and partners. Get a professional graphic designer, if you can afford one, to help you in brand development through ongoing projects. If your budget screams no to hiring one, use a graphic design tool such as Snappa to make it easier for you to create stunning visuals. The app’s resizing tool is one of its core features. So your blogs social media posts, display ads, emails, blogs, and infographics can be resized and repurposed as YouTube thumbnails. Challenge yourself to be the most you can be. Set high goals, do some growth tracking, and crunch some numbers. It will all be difficult at the start but should be attainable once you set your mind to it. Are you ready to start blogging now? Dave Schneider is an expert on Blogging. Dave is the cofounder of NinjaOutreach, an innovative new blogger outreach software for marketers based in Boston, Massachusetts. He writes about blogging for businesses, entrepreneurship, and has a love for travel, having visited over 40 countries. Dave can be found at lesschurn.io and daveschneider.me. Thank you so much Dave Schneider, for your elaborate discussion. I would like to ask you, do I necessarily need a website to become an influencer? Or only social media blogging is enough. Because social media have a profound impact on our life?